from these assessments to enhance classroom instruction and improve student learning. Here are 5 things that effective teachers traditionally do after an assessment has been given. Record and Assess the Data. Spreadsheets are great, but go beyond with charts and visual representations of assessment data for a better understanding of students’ strengths and needs. 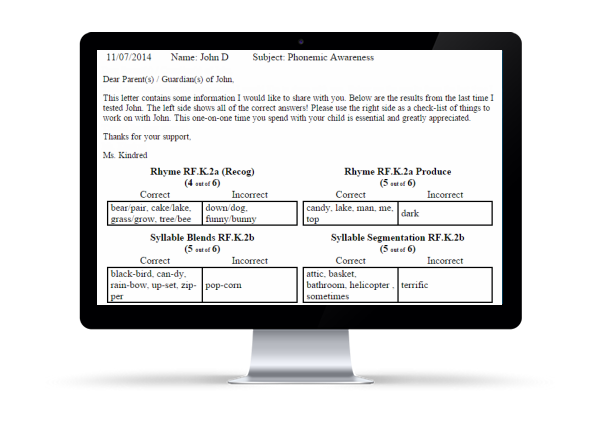 Communicate the Assessment Results with the Student’s Parents. often used to save teachers time! Make sure that these results remain private. Place the notes into individual student folders or staple closed with the students name on the outside. With ESGI, teachers save time with personalized parent letters that are created from the collected data. Click here to find out more about this time-saving parent connection! Call parents to discuss assessment results. Admittedly this takes more teacher time, but really helps make a personal connection with the family. This method can be benefit or to highlight children who performed beyond expectations, have shown significant growth in an area, or need improvement. Scheduling and having an in-person conference to discuss assessment results. This is often necessary if the results are significantly lower than expected. Teachers and parents can discuss home activities and in-class interventions to be used during this conference. Keep in mind that not all parents can come in during school hours due to work and transportation challenges. 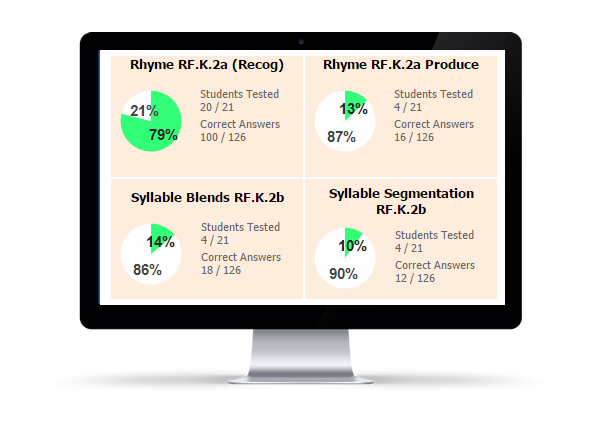 Plan for Individualized Instruction Based on the Assessment Results. If a child is struggling with decoding simple consonant-vowel-consonant words (cvc words) then a variety of hands-on phonics instruction may be needed. ESGI's Class Totals Report shows the academic area that needs attention, additional lessons are most likely needed in that area for the whole group. It may be helpful to work with your school’s curriculum coordinator or grade level team to strategize effective interventions with the resources and materials available to your classroom. 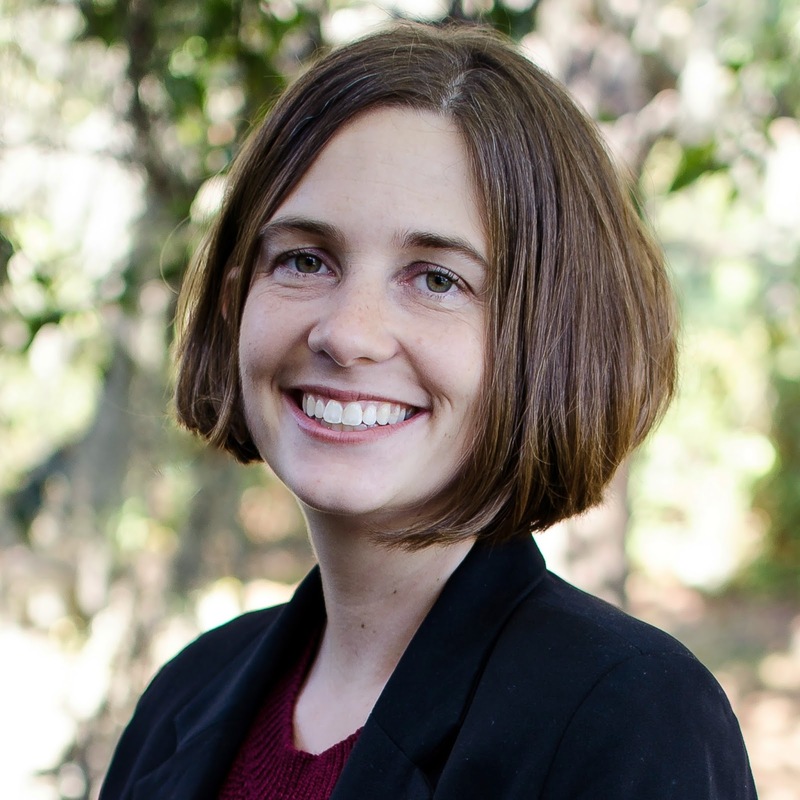 Implement Additional Instruction to Enrich or Remediate. Many teachers will pull small groups of students to a work station for instruction on a specific topic. Utilize parent volunteers, classroom aides, and college student interns for additional one on one activities and academic support. Re-Assess After a Given Period of Time and Repeat Numbers 1-4. 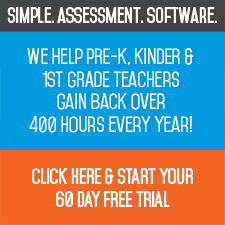 Are you a Prek - First grade teacher or an Administrator interested in saving time with assessments? Register Here for a FREE 60 trial!